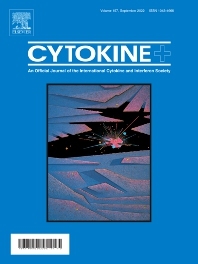 The journal Cytokine has an open access mirror journal Cytokine: X, sharing the same aims and scope, editorial team, submission system and rigorous peer review. * Devoted exclusively to the study of the molecular biology, genetics, biochemistry, immunology, genome-wide association studies, pathobiology, diagnostic and clinical applications of all known interleukins, hematopoietic factors, growth factors, cytotoxins, interferons, new cytokines, and chemokines, Cytokine provides comprehensive coverage of cytokines and their mechanisms of actions, 12 times a year by publishing original high quality refereed scientific papers from prominent investigators in both the academic and industrial sectors. 1) Original manuscripts describing research results. 2) Basic and clinical reviews describing cytokine actions and regulation. 3) Short commentaries/perspectives on recently published aspects of cytokines, pathogenesis and clinical results.